Dear Libby... I've been utilizing GrantWatch.com to search new grant opportunities since establishing my grant writing business in 2010. I find at least 65% of my new corporate, family, and community foundation grant opportunities through GrantWatch! As a result, I've raised more than $13 million dollars for my nonprofit clients around the country (and the Caribbean). Thank you for your excellent service to the nonprofit community. 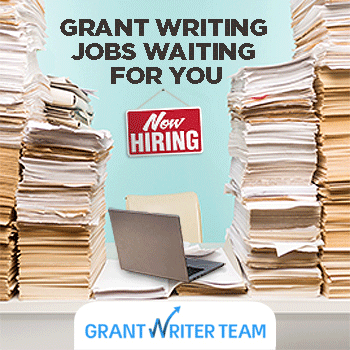 I recommend GrantWatch in workshops I teach as a cost-effective tool to research grant leads, and especially like that you offer weekly, monthly, and quarterly packages. You have a great service and I am happy to have been a past subscriber. Regretfully, and not regretfully, I have decided to retire and to close out my business. I am therefore no longer interested in receiving your emails or service. I will miss not reading the new grants and being a part of a successful effort to secure monies for local governments and non profits. Keep up the great work. Wish I had you twenty years ago. It was a lot harder to find grants in those days. The first year we went with a different grant web site. It was so complicated that we couldn't navigate through it at all. Once we found GrantWatch, we were stunned at how easy the process really was and our feedback was incredible. Another year we tried another site-not one grant came through. We're sticking with GrantWatch from now on. Thank you Libby for making GrantWatch. Without it, we wouldn't be able to continue to be of service to others. I love your service, especially being able to limit searches by area. It has helped me identify grant opportunities I would not have explored without it. With it, I know I've got the most current grant information available. Also the layout is much easier to browse. Much appreciation, Ms. Hikind! Thank you for having a website like this in order for non-profit, social-services oriented entrepreneurs like me to apply for grants. Acta Non Verba (ANV) is striving to be better, itself. In addition to the camps, after-school programs, and monthly farm days, ANV hosts a food pantry and wellness event every year. For these programs, ANV requires funding which is why it is a MemberPlus+ at GrantWatch.com and uses the website to search for grants. I like that the grants are sorted between states and by interest. I also finds the weekly reminder emails with lists of grants in my state very helpful. It’s exciting to see the list of new grants that have been added. We first narrowed down 4-5 grants of interest from GrantWatch.com and under the advisement of a development consultant, applied to 2. We are in the process of waiting to hear back from the funding sources! Also, all of my programs could benefit from crowdfunding, a new online form of fundraising at YouHelp.com. GrantWatch has helped Workshops for Warriors continue to grow each and every year by opening up so many doors and opportunities. As a nonprofit that trains and certifies Veterans into advanced manufacturing careers, our nonprofit training center is extremely costly to keep running each month. Applying for the right grants has made a huge difference in making sure we are able to keep our graduating class growing. Last year 43 of our students left with Nationally recognized credentials in machining and welding, and we truly could not have done it without the opportunities we've found through GrantWatch. The professionalism at this website is incredibly and we are so thankful for all that you do! Keep up the great work! Every dollar spent for our subscription to GrantWatch is a dollar well spent! GrantWatch is a key to many opportunities for our nonprofit organization. The site itself is user friendly; the categories help us to narrow down our search and the descriptions are right on point. Our agency is reliant on grants for so much of our funding. GrantWatch opens the door to many options that we may not have found on our own. Thank you, Libby, and other friends at GrantWatch. We appreciate your service! Libby, Please let me tell you what a blessing GRANTWATCH.COM is to RESTORING HONOR PROJECT INC. We are a start-up non-profit looking for funding and we are COMPLETELY BLOWN AWAY by the professionalism, amount of content, accuracy of content and the ease with which to navigate by selective criteria. We are 100% sure that we will find exactly what we are looking for here, and feel confident that we will make GRANTWATCH.COM our GO-TO resource! When we prayed for funding and the ability to find it,we never even thought about an intermediary resource the bridge the gap. God is GREAT and works in MARVELOUS ways. Sincerely, Dean & Myra Freeberg RESTORING HONOR PROJECT INC.
What I love about GrantWatch is the variety of grants. I also love the presentation. GrantWatch includes so many different areas of funding in our categories, that is easy to search for grants. I also really appreciate the grant details page. It tells you all the information on the 1st page. It gives enough information to decide if the grant is for you. Our organization has locations—and funding needs—across the country and GrantWatch has been instrumental to us in identifying new sources of support. We can select all of the geographic areas we cover, appropriate areas of interest and get information on foundations, corporations and federal/state opportunities that are a good match for our programs. We especially appreciate the inclusion of less known foundations which are frequently excluded from other grant databases. Thank you for being a valued member of our team! I couldn't run my business without the amazing variety and range of grant information that GrantWatch provides. The search features allow me to pinpoint my clients' interests and the ability to email them directly to my mail and put them on my calendar ensures that I don't miss an opportunity. Just wanted to thank GrantWatch for making their web site so easy to navigate. We had tried other grant web sites, but had such difficulty. With GrantWatch we have been successful in obtaining many grants! This is the perfect site for finding grants for my diversified client base. The site filters allow us to efficiently find grant makers by funding priorities and geography. GrantWatch.com is always our first stop, and in most cases, our only stop in finding funding sources.